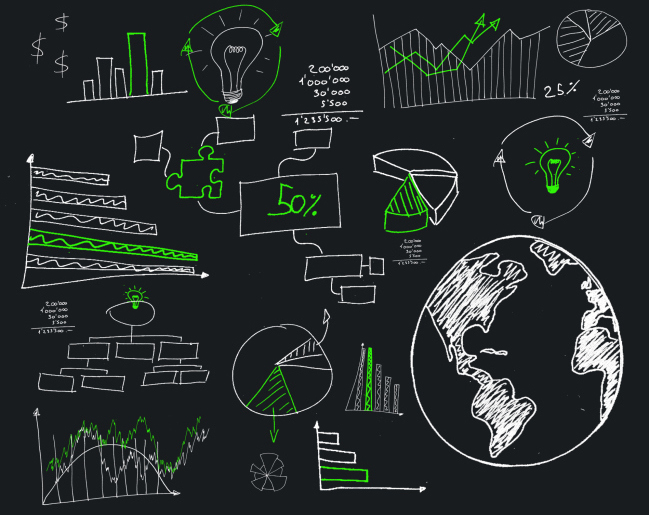 Data visualization tools are a must for effective business intelligence processes. These business intelligence tools will help you to make the most informed decisions for your business. This will lead to you making the best decisions possible. However, there are many different types of data visualization software available to consider for everything from turnover rate to sales volume. Keep reading below to find out the best data visualization tools to use to make the best business decisions possible and stay ahead of the competition. Sisense is an easy to use business intelligence software that offers all the features you could need. The BI tools included in the software do not require training or time-consuming implementation to bring to your business. In addition, Sisense allows you to combine data from a multitude of sources into one easily accessible database. If you want a business intelligence tool that has a superb ability to visualize complete data sets without a sharp learning curve, consider Sisense. RAW by Density Design is one of the best free BI tools available. The software acts to fill the gap between spreadsheets and vector graphics. You can use the RAW software to create and export data visualizations in SVG and PNG formats. This software does not have the comprehensive features of some of the more expensive data visualization tools. However, it is the perfect BI solution for a small business looking for a low-cost BI software. Microsoft Power BI is an incredibly powerful data visualization solution for the savvy business owner. The software is highly intuitive, which makes it the perfect solution for those new to the world of BI tools. It is also one of the cheapest business intelligence software available with such a wide array of features. In addition, the software features a free version as well for those bootstrapped business owners. If you want a brand-name software that you can trust for great results, Microsoft Power BI may be the way to go. Zoho Reports is another BI and analytics solution that allows you to create the reports and dashboards you need to make informed business decisions. The Zoho BI service will assist you in visually analyzing your business data. This is a great help for business owners who are new to the concept of data visualization. Zoho Reports software also allows for useful online collaboration. This may be a necessary feature for some business owners. If you do not mind paying a monthly fee of $50, Zoho Reports is one of the best analytics solutions to consider to help you plan for contingent business interruption. Tableau Public is one of the best free BI software for business owners on a budget. The software features all of the same useful tools as the paid-for version, Tableau Desktop. However, if you choose to use the free Tableau software, your data will be made available in the Tableau data visualization gallery without question. This may be a deal breaker for some business owners concerned about social media security and security in general. However, if you want a feature-rich free data visualization software, Tableau Public may be worth the risk. If you are a business owner, you know the importance of business intelligence when making crucial business decisions. Thankfully, data visualization solutions can help you make the best decisions possible for your business. Use one of the top business intelligence software options mentioned above. These top analytics tools are sure to have everything you need to stay ahead of the competition indefinitely.